What does the traditional world of manufacturing have in common with the way networked platforms work? How can a basic understanding of factory design help us change the way we think about designing internet platforms, marketplaces and social networks? I’ve written previously about the distinction between pipes and platforms. If you haven’t already read it, you must definitely check it out. It lays out many of the basic principles that underlie the strategies I discuss on this blog. Pipes are characterized by the firm as the producer and a linear flow of value. In contrast, Platform Thinking allows for users as co-producers. Value doesn’t flow linearly from a firm to the consumer. Producers and consumers are connected with each other over a network. The platform’s role, unlike a Pipe’s, isn’t production. The platform connects producers and consumers over a network and provides them the tools to interact with each other. It then uses data to match them with each other. Let’s look at business design at a very high level. At a fairly abstract, stratospheric level, the goal of business is the creation of value and the capture of some part of it to generate a profit. If we get back to Pipe Thinking, and take the example of manufacturing, value is created in a factory or on an assembly-line. The factory’s goal is value creation. The factory does this by setting up a set of value creating actions that add value on to the product. There is an end-to-end process that is responsible for value creation. But here’s the most important, yet obvious, bit. There is a unit of production and consumption which moves through these processes AND gathers the value that is added to it by the factory. Finally, in the hands of the consumer, this unit delivers value to the consumer. We call it the product, the object that is manufactured in a plant. It’s the car running through Toyota’s assembly line or toothpaste tube getting filled out at Colgate-Palmolive. This object is the basic unit of production and consumption in the industrial world. Start with the object you’re creating; the product. Design the factory (and organization) that can execute this process. The factory design enables the process. 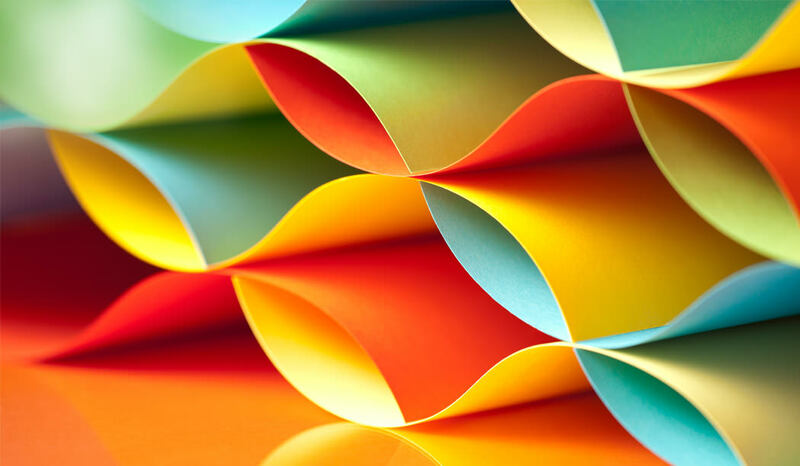 The process design enables value creation. But all of this starts by first looking at the unit that is being created, determining what value needs to be created on it and designing the entire business in a way to facilitate that value creation. It doesn’t work the other way round. You don’t start with building a factory and an organization and then deciding how you structure the process. Any change in the organization or factory infrastructure is started by a change in the process which is started by a change in the need for value creation (often because of customer feedback owing to which you tweak the product). So all this sounds great, you say! You just told us a bunch of obvious things using some fancy words. Where are we going with this? I believe the fundamentals of business never change whether you’re in an agrarian economy, an industrial economy or an information economy. Let’s use what we already know from the above and figure how this applies to platforms. Business design, as we just noted, doesn’t start with the factory, it starts with the unit that is produced. Unfortunately, in the design of a lot of networked platforms, we see the design process start from the factory i.e. the website or the app. That, instead, should be the last step in the design phase. There are two key changes that happen as we move from pipes to platforms. The value creation shifts from inside the Pipe to outside the Platform. These are the two fundamental shifts captured in all the talk about Open Innovation. And these are the two fundamental shifts we need to be aware of while designing platforms. So let’s go about the job of designing platforms. As in the case of Pipes, let’s start with the unit that is produced or consumed. This is the most interesting part. When we think of platforms or any form of internet businesses, we rarely think of what is being produced or consumed, we think of it in terms of a website or an app, or some other physical/visual manifestation. In actuality, since we’re talking about information businesses, the unit being produced and/or consumed should be content/information. What is YouTube? A website? An app? A platform for the hosting (production) and viewing (consumption) of videos? Kickstarter? A platform for the hosting (production) and backing (consumption) of projects! Twitter? A platform for the creation (production) and consumption of tweets! Etsy? A platform for selling (production) and buying (consumption) actual physical products leveraging information about them (listings)! Uber? A platform for booking a car leveraging information (car availability) to match producers (taxi drivers) with consumers (taxi seekers)! Irrespective of the actual exchange being physical or digital, the unit that powers the matchmaking of producer with consumers (on the platform) is an information unit. Start with the unit! If you’re designing the Twitter for X, look at what the Tweet for X looks like. If there is one thing that’s central to Platform Thinking, it’s this. Large platforms look clunky, you don’t know where to start. Start with the unit that is being produced or consumed – I like to call this the Seed – build out from there. More on this in one of my subsequent posts. Great! So we started with the unit. What’s next? In the case of Pipes, one moves from the unit to the process that adds value to the unit all through. There’s one interesting difference between Pipes and Platforms though. Consumers don’t typically add value in real-time to this unit. They just consume. On platforms, consumers may add value as well. A creator may take a picture on Flickr but consumers may tag it. A creator may upload a video on Youtube but consumer votes determine how often it gets consumed. There are various ways in which consumers add value. So what’s the counterpart of the process in Pipes? A set of actions involved in the creation and consumption of value? I like to think of this as the Interaction. Every Platform has at least one Interaction. Creator uploads video, Consumer watches it, votes upon it. This is the primary interaction of YouTube. Creator starts a project, Consumer consumes it, backs it etc. The primary interaction on Kickstarter. Note that a platform may have multiple seeds and multiple interactions but there will specifically be one that is core to the value proposition of the platform. YouTube is not a place where you go to create and consume comments, it’s a place to create and consume videos. In most cases, the primary seed and interaction are fairly obvious. In subsequent posts, we’ll look at a few cases where these are not. Finally, we come to the platform. 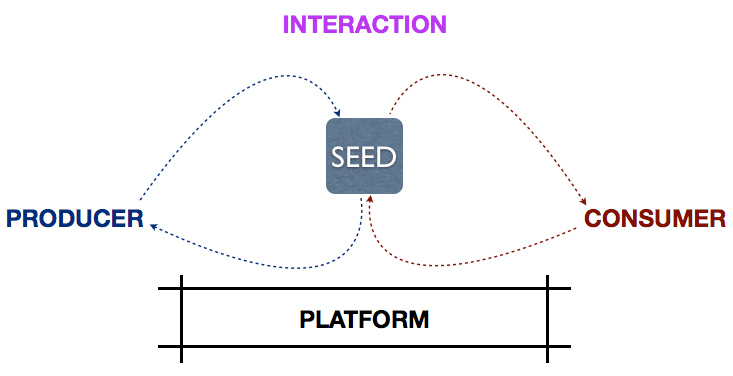 Once you know the seed and design the interaction as a set of actions, platform design is a lot simpler. You’re just creating a network and an infrastructure that enables this interaction. Well, there’s a lot more depth there but for the purposes of this article (remember, we addressed this to fifth graders somewhere up there), the key point here is that platform design should start with the seed, flesh out the interaction and then design the platform as a consequence. Not the other way round. Even with platform design, one must distinguish between the system and the interfaces. YouTube is a complex system but has many different interfaces/functionalities for creators, viewers, brands, advertisers, media houses etc. on different channels like web and mobile. The design of the interfaces should be true to the design of the system. And that is achieved when one starts by focusing on the seed and the interactions it enables. I’m going to be digging into this in detail over the next 2-3 months to lay out a detailed framework for designing and running networked platforms. I’d love to hear your thoughts first up, whether you agree or disagree. 1) Platform design should start with defining the value that is created or consumed, the Seed. 2) The Seed should lead to the actions that enable the creation and consumption of that value. 3) Only in the last step should one go about designing the system and interfaces that enable those actions. There is a fourth key element missing here, the role of data. I will be covering that in future posts. For this post, in particular, I wanted to focus on the contrast between pipes and platforms. The role that data plays on a platform is very unique to a networked world. It’s been a late start to the year but I’ve spent the last three weeks bringing a lot of my thinking on platforms together in an effort to start creating a structure around it. I’m getting that stared with this post. Everything old is new again! Hopefully, the magic lies in using the old to interpret the new!